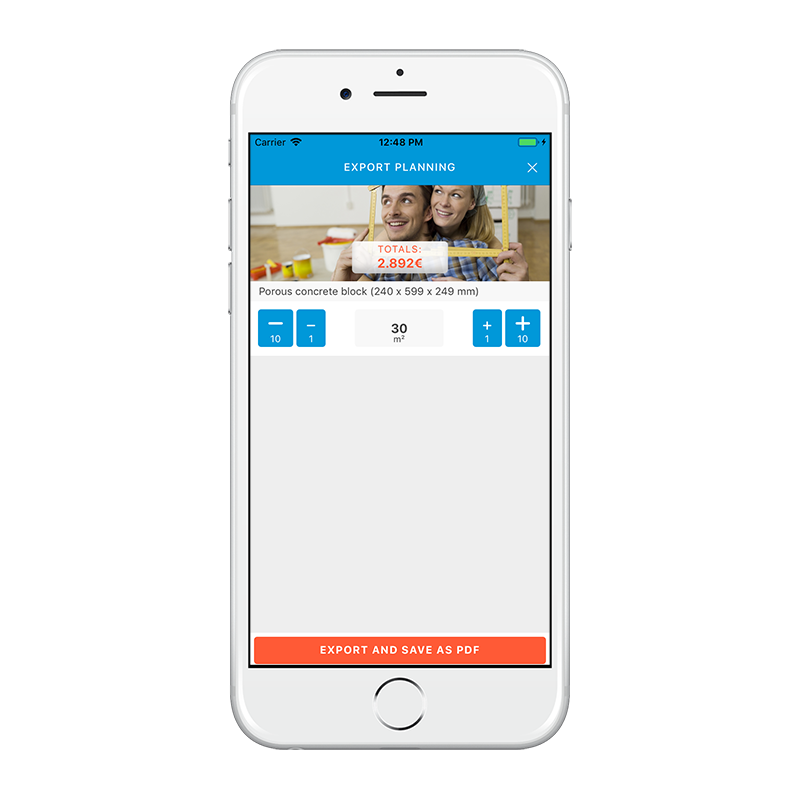 Cost estimation app for home Improvement. 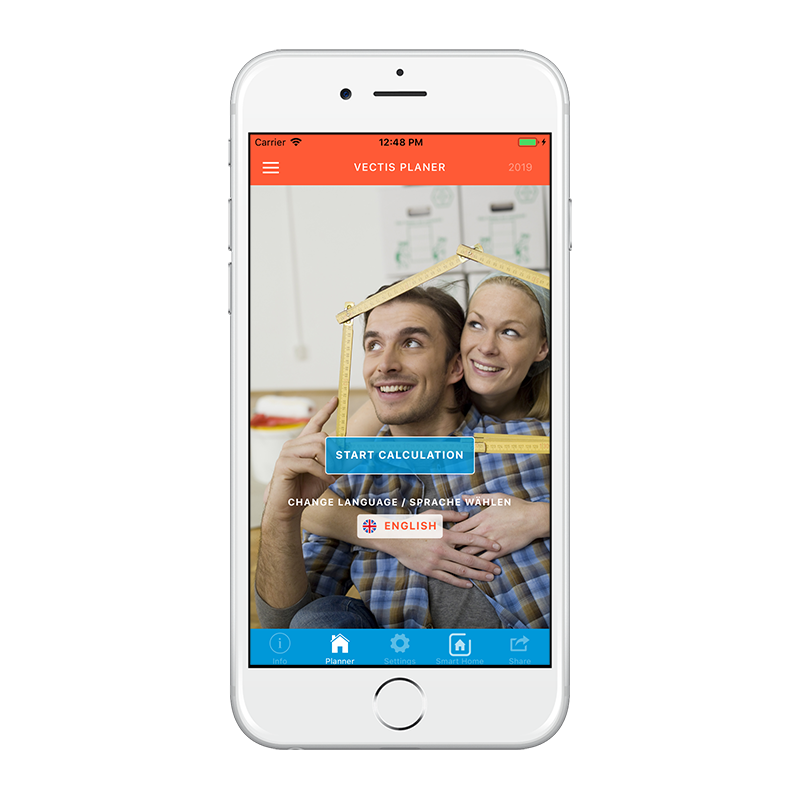 THE Home Improvement App for Building-Cost Estimates. Whether you rent or own property, there is always work to be done. To properly plan a renovation or reconstruction, you need a cost estimate. 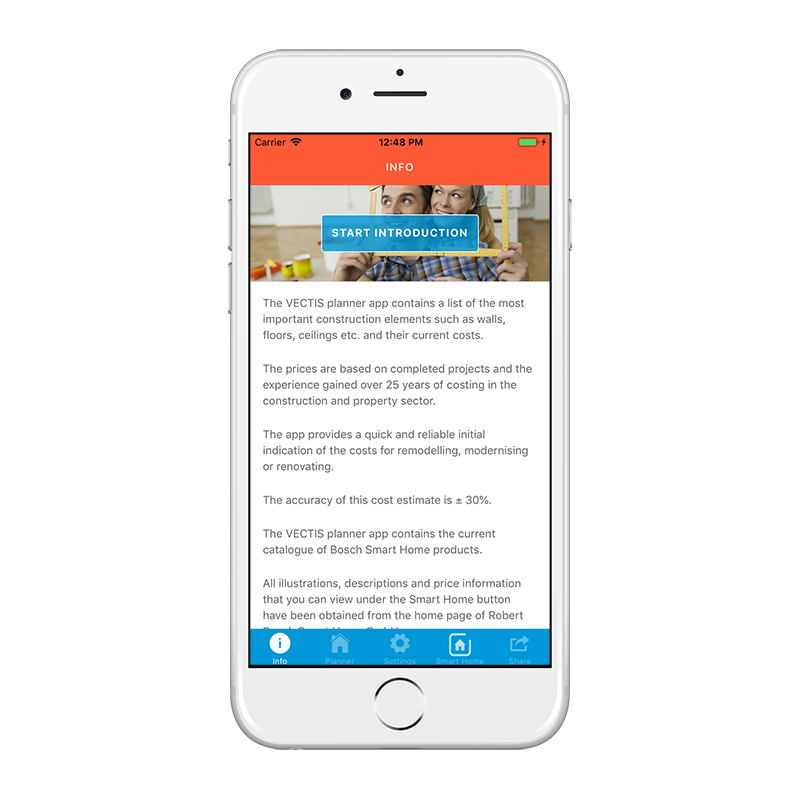 The VECTIS Planer app is a practical aid for all DIY enthusiasts who want to get an overview of the expected costs before starting modernization measures in their own apartment or their own home. It is directed at tenants and owners alike. If you don’t want to spend more than you have to, an estimate of the total costs must be done in advance. A cost estimate at a real-world level, the kind craftsmen present when they make an offer, is the solution for every DIY craftsman, tenant or owner. 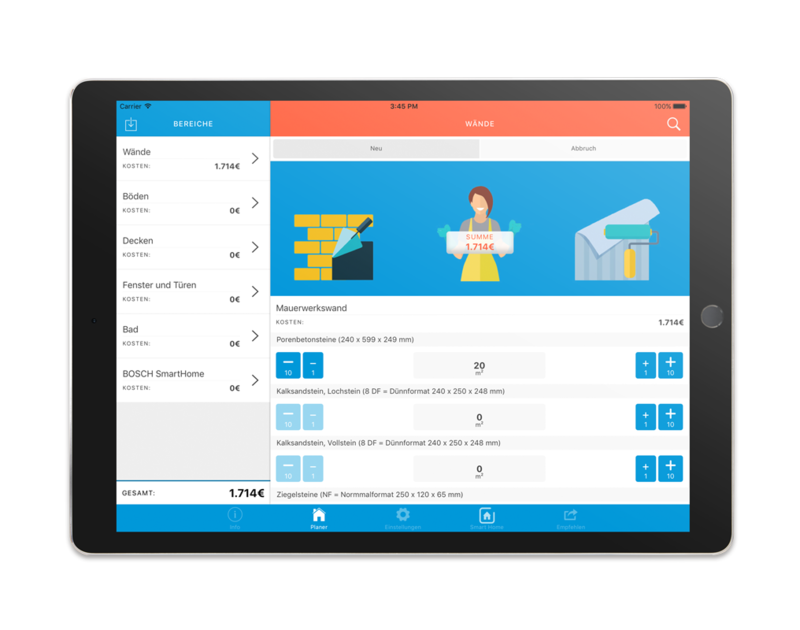 This app lets you assess the costs for a planned measure in an uncomplicated and speedy manner. 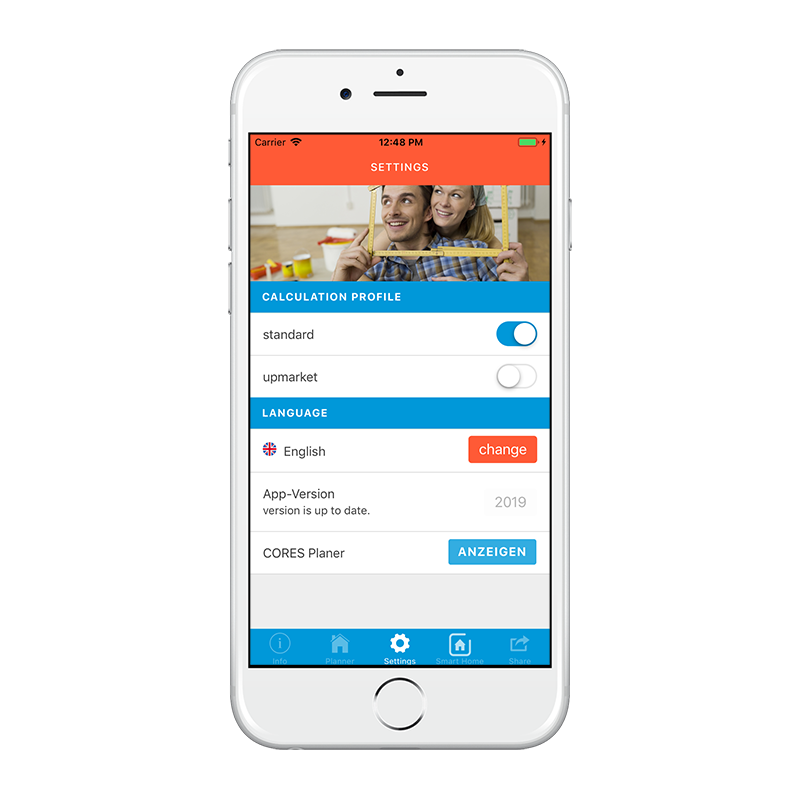 The app also lets you check offers you have received from craftsmen and supplies you with data to back up your arguments when negotiating with a provider. It takes just a few clicks to get your estimate, handling is very easy and the results are presented in a way that non-professionals can also easily understand. 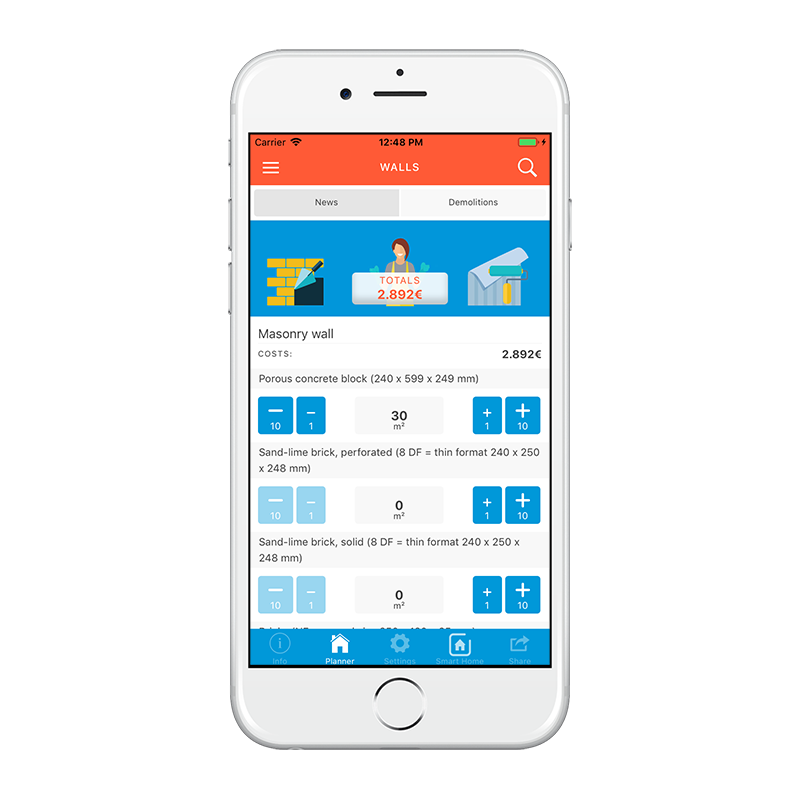 The results delivered by the VECTIS Planer app can also assist you in rental contract negotiations whenever renovation measures are required. The principal construction elements i.e. floors, ceilings and walls are planned for and the app lists current prices for specific areas, for a bathroom renovation, for example. With just a few entries such as the length and width of the surface to be refurbished you can get an idea of the cost for your planned renovation. You can select individual components. 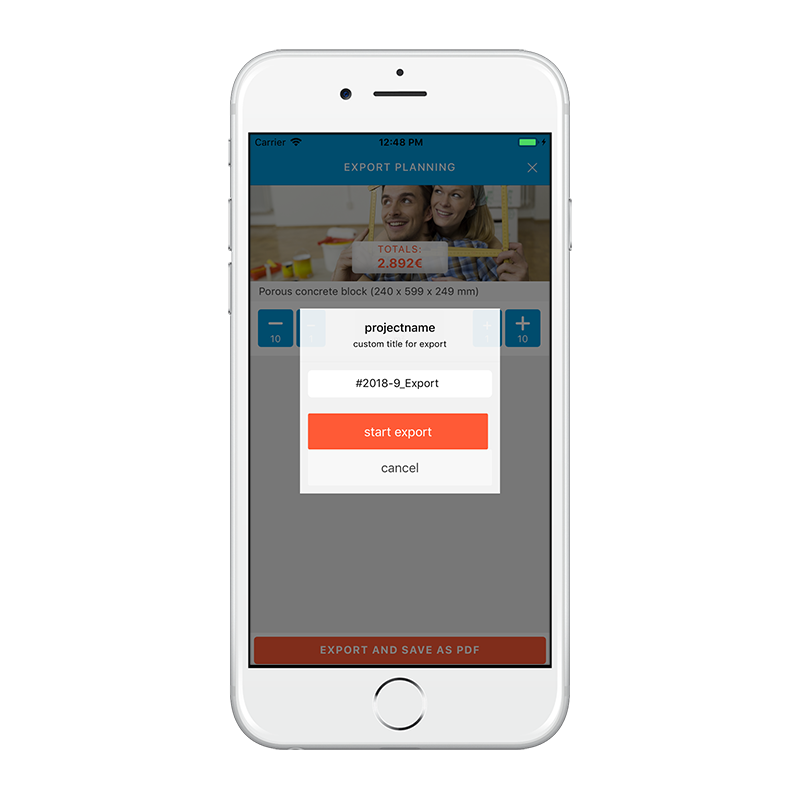 A sendable PDF lists the measures you have planned, the name you have assigned to your project, your entries and the calculated results. VECTIS App Start LanguageThe start page of the VECTIS Planer App. You can set several parameters here or push Info to see an introduction. 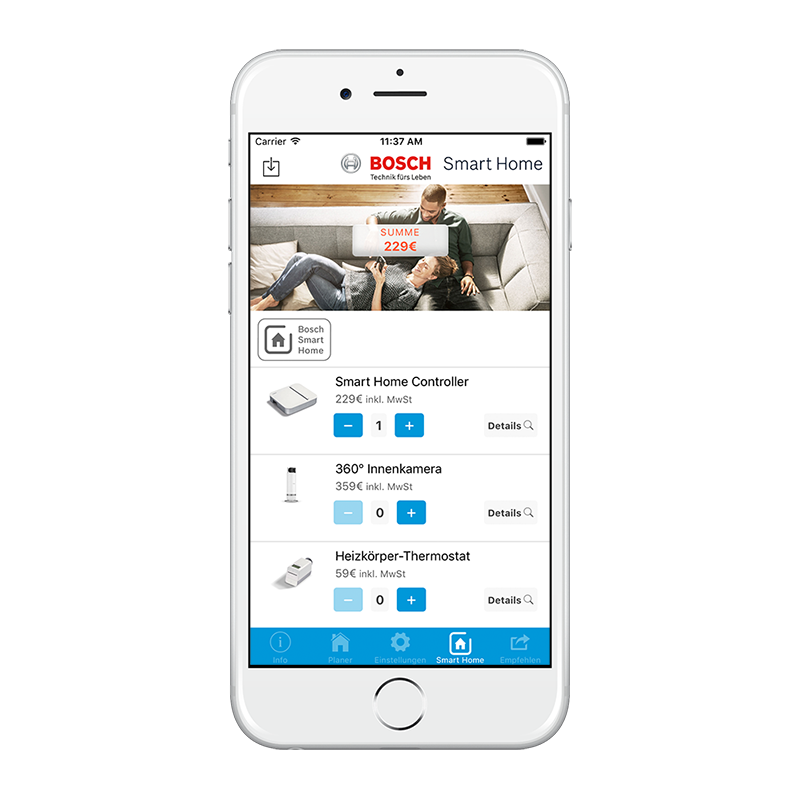 VECTIS Planer BOSCH Smart HomeVECTIS Planer App calculation for BOSCH Smart Home products. 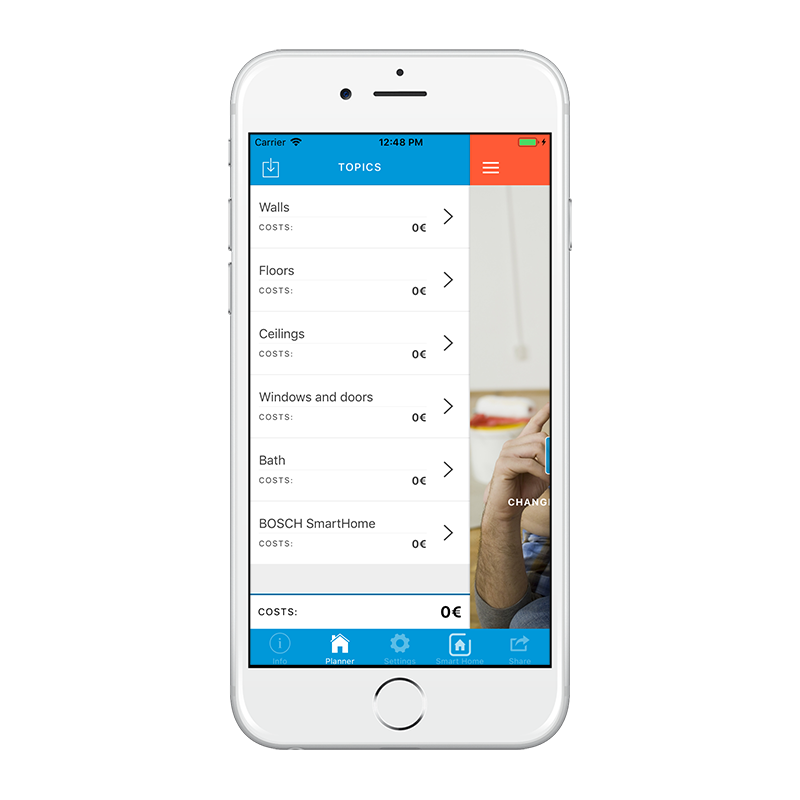 VECTIS App TopicsLists the structural elements the user has at his disposal, intermediate results and the grand total of the cost estimate. 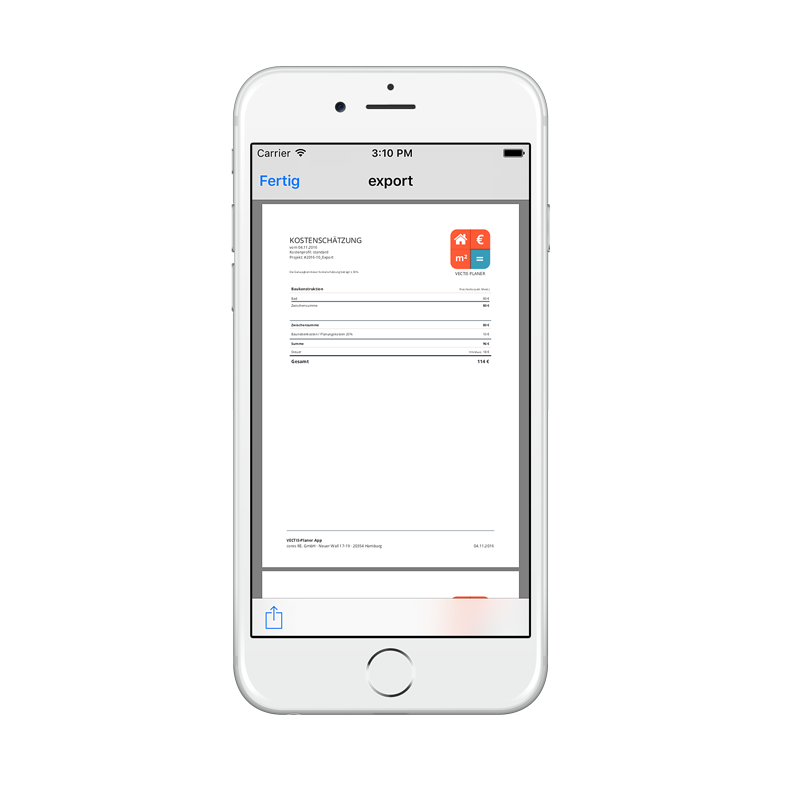 The VECTIS Planer app is up-to-date, intuitive and readily available on Apple iOS and Android smartphones and tablets. 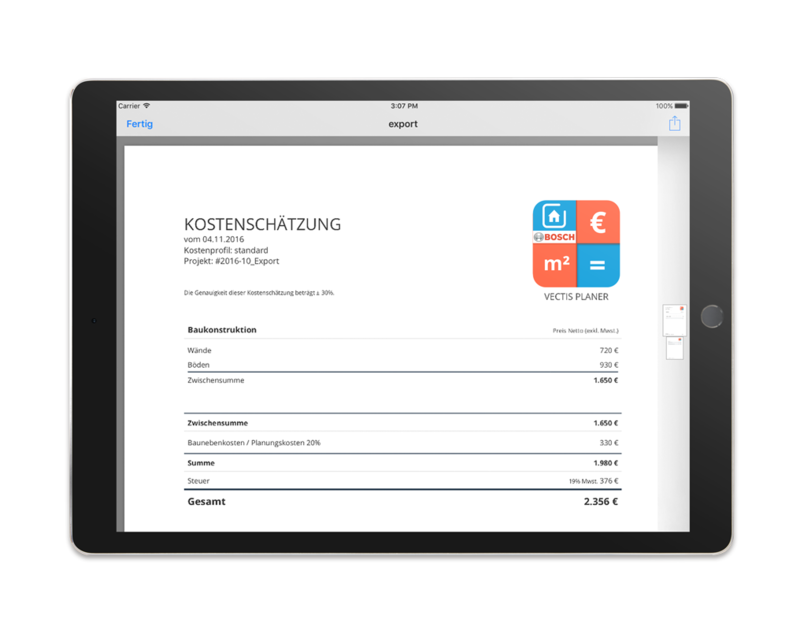 The VECTIS Planer app can be purchased here for just EUR 4,99.